Throughout our lives, our bodies are constantly changing – and that includes our brains. Maybe you’ve already noticed differences in yourself or your aging loved ones, such as occasional forgetfulness or “senior moments.” What’s considered normal as we get older, and how can we maintain our cognitive abilities for as long as possible? 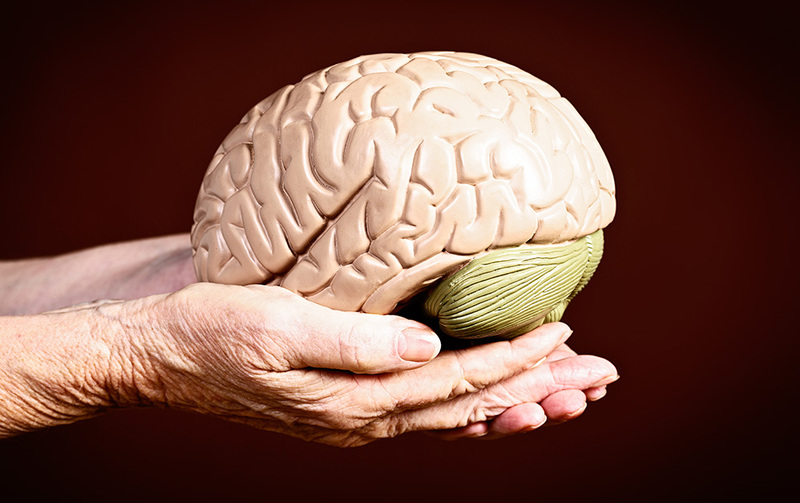 Some areas of the brain, including the hippocampus and frontal lobe, start shrinking around age 65. These are the parts involved in higher cognition and memory. Communication between neurons – the cells that send and receive information – slows down, which affects the brain’s ability to retrieve memories and store new ones. Chemical messengers in the brain (such as dopamine and serotonin) decrease. There may be less blood flow to the brain. Different areas of the brain start working harder to compensate for its physical changes. Nerve cells forge new connections to make up for the cells that die. Our brains are flexible and resilient enough to adjust after physical or emotional challenges. We learn things, adapt to new tasks and make memories well into our golden years. Older adults are better than younger people at making rational decisions and screening out negativity. As we age, we benefit from our wealth of knowledge and life experience. So, while you might have more difficulty remembering where you put your keys, learning new tasks or doing multiple things at once, this doesn’t mean you’re developing Alzheimer’s disease or another type of dementia. If these changes are a normal part of aging, which ones are a cause for concern? Dementia is the term for a group of symptoms that can happen when brain cells become damaged. There are many causes of dementia . Alzheimer’s disease is the most common, responsible for about 60% to 80% of cases. It is a progressive disorder that causes irreversible changes to the brain, affecting how people think, feel, communicate and behave. It mainly affects seniors, but it is not a normal part of aging. How can you help your brain stay in good shape? Research suggests that the following strategies slow down age-related cognitive decline; several of them also help protect against risk factors for Alzheimer’s disease. Many of these aspects of a healthy lifestyle benefit both body and brain. Altering life-long habits can be challenging; start with small steps and acknowledge that change doesn’t happen overnight. Dementia is a life-changing diagnosis that can be stressful for individuals and their families. Learn about Bayshore Home Health’s personalized Dementia Care Services.